President Muhammadu Buhari, All Progressives Congress (APC) stalwart, Asiwaju Bola Tinubu and Ekiti State Governor Kayode Fayemi yesterday joined members of the ruling party to congratulate the first Interim Chairman of the party and former governor of Osun State, Chief Abdukareem Adebisi Akande on his 80th birthday. 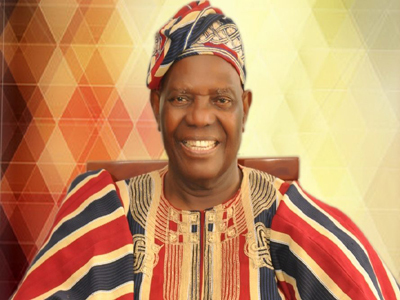 The President congratulated Pa Akande, his family and friends for his laudable achievements over the years, which threw him into the limelight at an early age, particularly highlighting his sacrifices in public service at the state and national levels. The President noted that as the first Interim Chairman of the APC, the former governorâ€™s pivotal and visionary leadership prepared the party for history in 2015. He said this led to the unseating of an incumbent President for the first time in any election in Nigeria. In a statement by his Special Adviser (SA) on Media and Publicity, Mr Femi Adesina, the President extolled Pa Akandeâ€™s loyalty and faithfulness to the party and the cause of building a strong and unified nation, as he consistently challenges governments and leaders to higher ideals and reminds them to think out of the box in meeting the needs of the poor and vulnerable. President Buhari added that he believed that the octogenarianâ€™s good-nature, large heart and broad outlook on issues have impacted positively on party politics and democracy in Nigeria. The President prayed God to grant him longer life, strength and wisdom to serve more. Asiwaju Tinubu described Pa Akande as â€œa compassionate human being, an example of decorum in any circumstance and a principled leader possessed of profound judgment and a sageâ€™s wisdomâ€. The former Lagos State governor prayed God Almighty to grant the celebrant â€œmany more years so that he can continue to help this nationâ€. Fayemi described Pa Akande as a living legend and perfect example of talent and hard work. In a congratulatory letter to the celebrant, the governor said he considered it a great privilege to work and walk with the former APC Interim National Chairman, whom he described as a man of integrity. He described Pa Akande as a pride and leading light of the progressive school of thought, â€œa true, committed, passionate and loyal Awoist deserving of all admirationâ€. Fayemi said: â€œI celebrate you today as always because you have been a great boss and a wonderful mentor. I will forever cherish the chance of working and walking with you to make life more meaningful for our people. Thank God for giving me this priceless opportunity and thank you for being there to nurture me with your infectious patience and humility.